SNAFU! 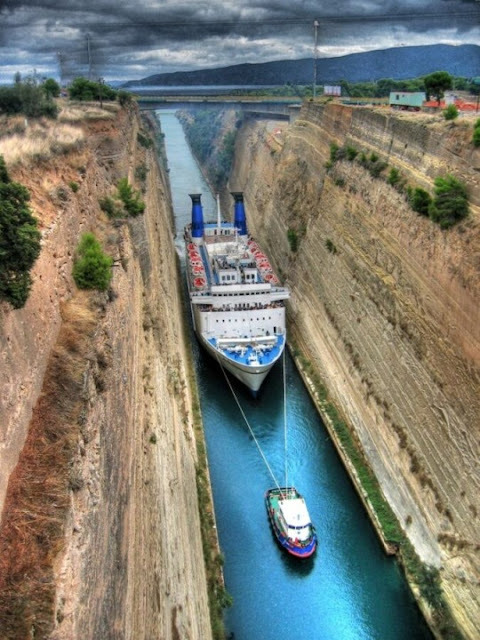 : The Corinth Canal .... I've got to see this! The Corinth Canal .... I've got to see this! pic via USS Edsall Tumblr Page. A little tugboat towing a cruise ship through the Corinth Canal crossing the Isthmus of Corinth of Greece. Wow. This is crazy. That's got to rub paint!